Welcome to Campsite La Presquîle de Giens ! Opposite the Iles de Hyères, a calm but lively campsite, ideal for a family holiday ! 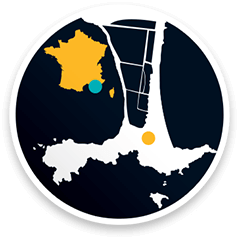 Mobile homes or camping pitches (tents, caravans and campervans), choose from among our accommodation and discover the Presqu’île and its treasures. Open from March 30th to October 6th, 2019, reception open daily from 8 am to 8 pm.